Emma Loves this bubble painting technique! She will make bubble paintings every day if she could! 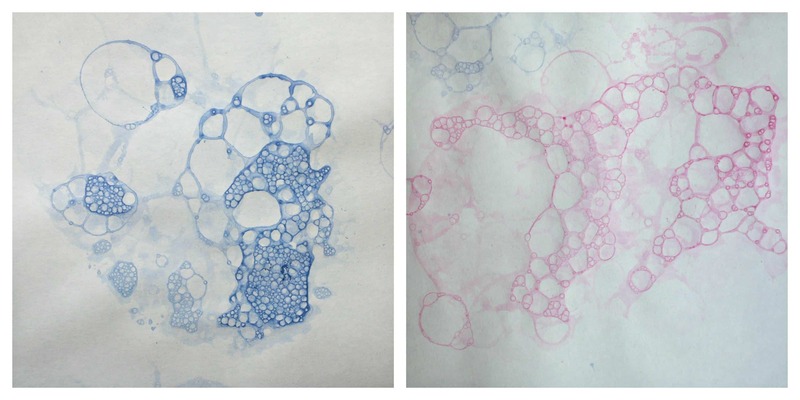 The other day I was looking at all the printing that was going on and thought that these bubble prints actually look a lot like Hydrangeas, which happens to be very convenient as I love these flowers!! 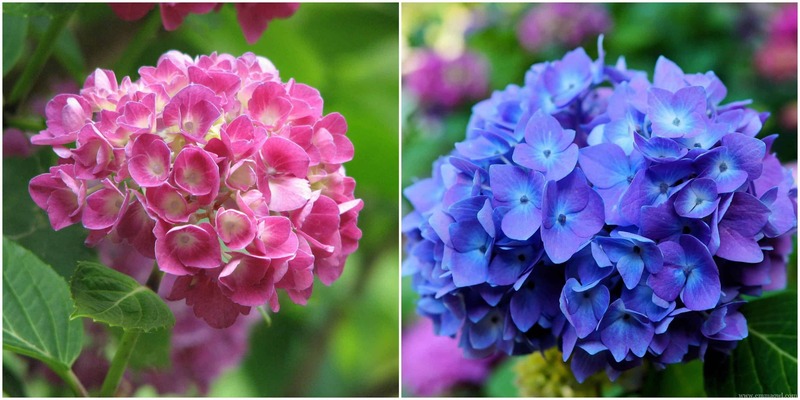 So, yes, you guessed it… we made bubble blowing painted Hydrangeas! 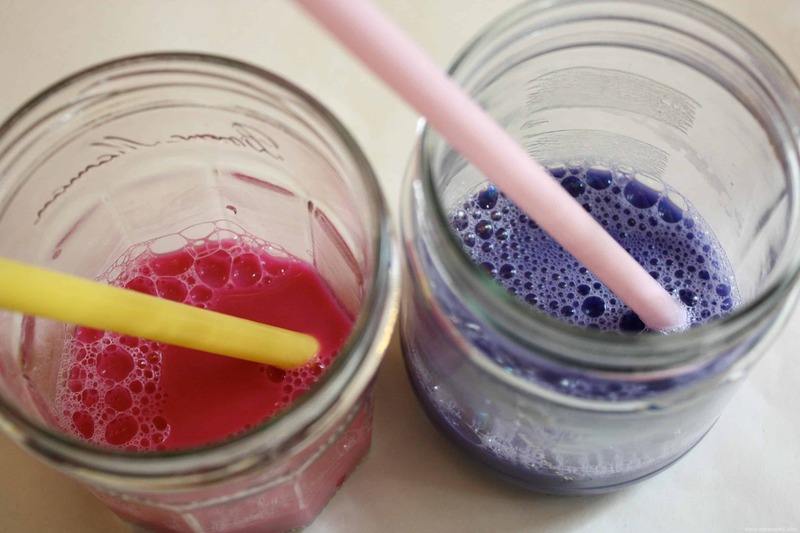 I filled jam jars with paint (pink and purple) and dish washing liquid – a big squirt of paint to a teaspoon of dishwashing liquid. My paint (normal kids paint) is quite runny, but if you are using acrylics or something a little more thick, then add a drop of water! 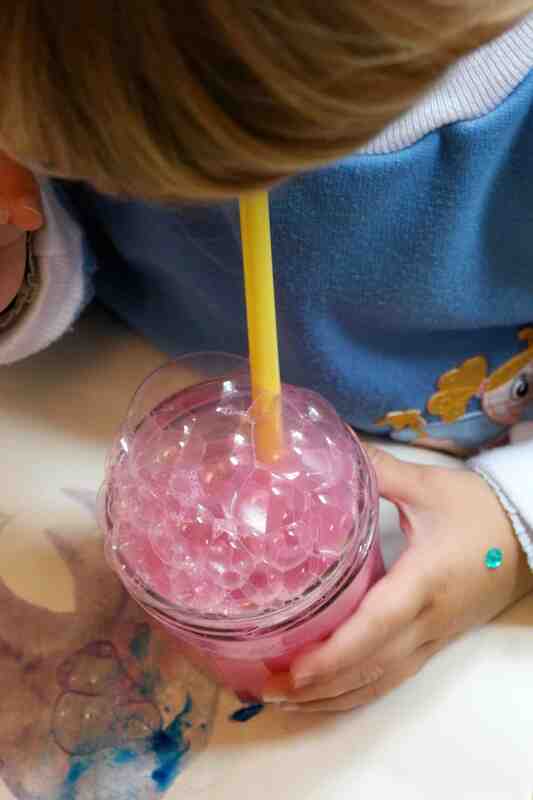 We used jam jars because I wanted to do this a little smaller than we usual would – we would usually use a bigger bowl to blow bubbles in! I wanted to have lots of flowers on one page at the end – and therefore jam jars are the perfect size to make little Hydrangeas! And then we got blowing!! 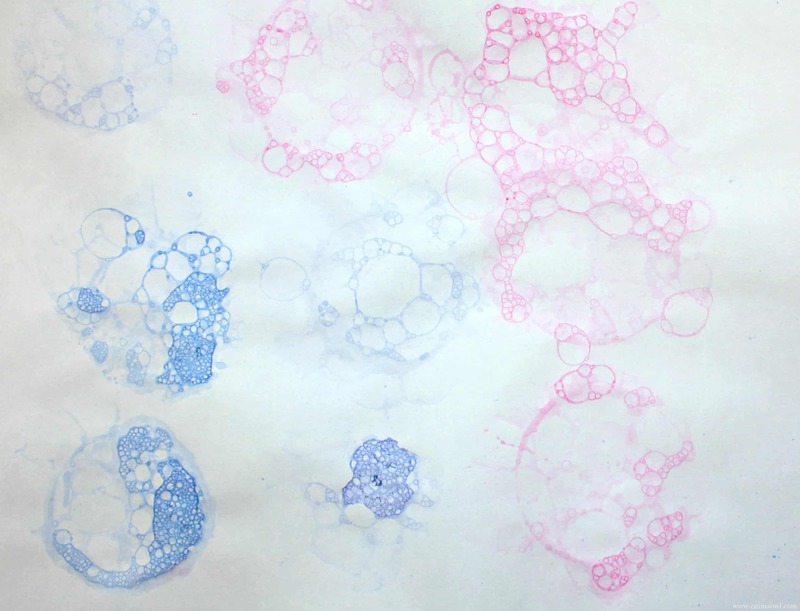 Once the bubbles come over the top, you just ‘print’ very quickly with a piece of paper by pressing it down onto the bubbles. If your colors are not showing up bright then add some more paint! Once they were dry I shadow cut them out, we cut very simple green leaves and we stuck it all together! And WOW! We are both so happy with the result! 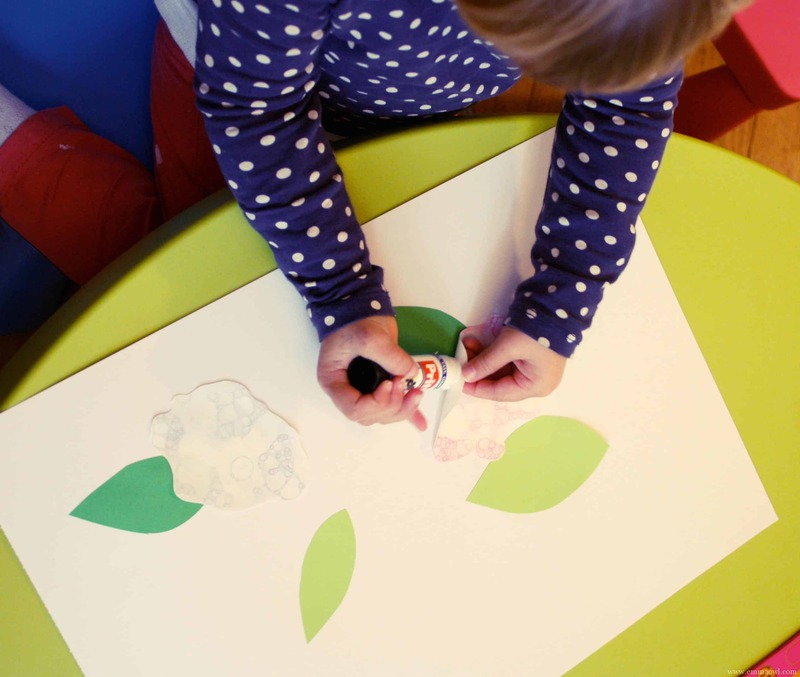 This really is the prettiest flower craft we have done! AMAZING for mother’s day cards!! We would LOVE to see your version of this craft! If by chance you get around to making these Hydrangeas, please take a picture and pop it onto our Facebook Wall!! If you enjoyed this craft, sign up for our FREE weekly newsletter! Keep updated with all our latest ideas and news!